Taking a Contract Hire lease let's you take control of the car for the fixed period paid with an initial deposit followed by the agreed fixed monthly payments. Nissan Contract Hire leases can be taken on the whole Nissan range including Nissan's range of crossovers, SUVs, 4x4, vans, trucks and more. Contract Hire allows fixed cost monthly payments with a low initial outlay. We'll arrange delivery and collection of your vehicles - meaning you don't have to worry about disposing or selling the vehicle at the end of the contract. Contract Hire comes with a variety of financial incentives too, VAT registered business can reclaim 50% of the VAT on the contract and 100% of the VAT on any maintenance element. Step One: Discover which Nissan is most appropriate for your fleet. View the Nissan range or take a look at the selection of commercial van range. Step Two: Pick your new Nissan and arrange your free 48 Hour Test Drive! Step Three: Let us tailor suit your Nissan Contract Hire lease at our Business Centre. 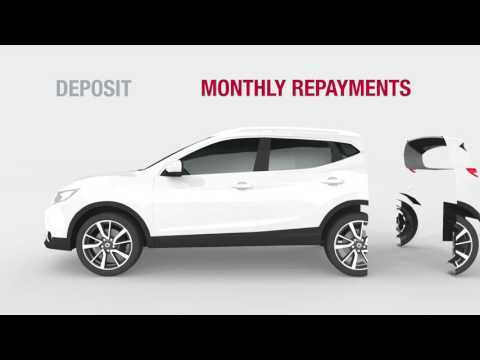 Decide your annual mileage, initial deposit and fixed monthly payments. Take an extra load off your mind with one of these competitive Service Package offers with your Contract Hire car for peace of mind. Nissan's Award winning SUV with a sophisticated redesign inside and out delivering the ultimate crossover. The brand new Nissan Micra redesign, engineered to break away from convention. Nissan's iconic compact crossover with fearless style - with a wide-range of personalisation and styling options. Powerful new styling & next level technologies, it’s all you need for a comfortable, action-packed adventure. Tough as always, smarter than ever, Nissan's pick-up vehicle is stacked full of innovation technology. The Acenta offers a range of option packs that enhance the practicality and comfort of your van. Exterior styling enhancements with interior features such as air conditioning and a blind spot mirror. One of the most versatile and practical heavy van ranges on the market - Panel Van, Crew Bus, Dropside or Tipper models available. All the essentials you need in a do-anything light truck, creating a highly dependable business partner. *All above offers include a £295 + VAT administration free. All prices are for Solid Paint.